Comments: Rare opportunity to own an impressive home in sought after North Club Estates. Gorgeous community. 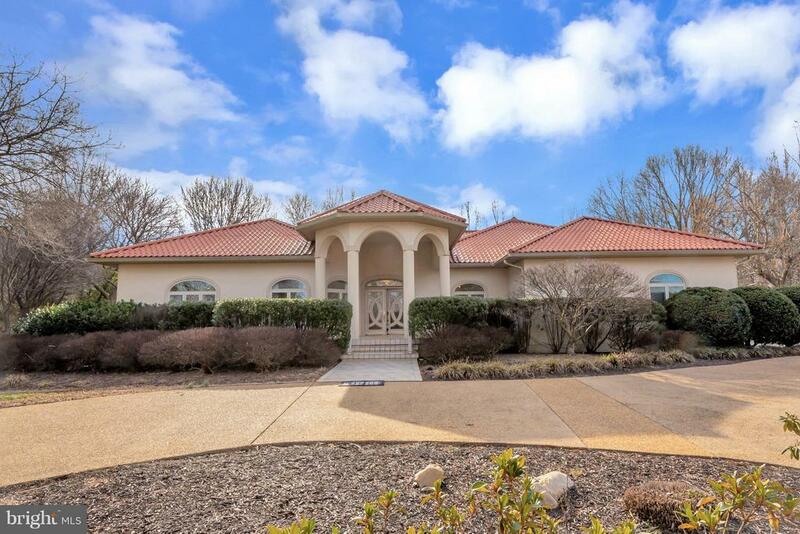 Florida style home situated on 4.5 acres and backs to the 5th hole of the Fredericksburg Country Club. Car or hobby enthusiast's dream on the lower level. In home gym. Many more possibilities! Minutes away from VRE, MWH, downtown Fredericksburg and 95. Almost 7,000 finished sq ft with 5 car garage! Home offers a gourmet kitchen, wet bar, elevator, sunroom, room for a professional office (now bedroom), with attached master suite, huge lower level rec room plus optional bedroom with full bath. Tons of storage space.